Growing demand for skilled manpower in oil and gas sector. "Nine years ago, when I looked at the horizon here in the Campos Basin saw only sky and water. Nowadays, various platforms fill the landscape. And the trend is to have many more of these floating cities full of opportunities. "The testimony of the supervisor of the production platform P-51 Petrobras, Marcus Vinicius da Silva, 46, summarizes the promising scenario of oil and gas to Brazil who is not afraid to stay 14 days in isolated sea. Among the incentives are wages, ranging from U.S. $ 4,500 to U.S. $ 9000. Just in the Campos Basin in Macae seven platforms currently operate. Soon, another will be installed. Among the ways to join the Petrobras tender which is inscribed by Friday (posts in attendance) or until the next Sunday (the Internet). Are 590 vacancies (including entry level positions of oil rig maintenance roughnecks, general labors, dishwashers). Working in the oil and gas is also the dream of thousands of Brazilians seeking a chance to become employees of Petrobras. The good news is that the company is already preparing a new contest that will probably be released in the second half of this year. The Effective Manager of Company, Lairton Correa de Souza explains that by June this year, 1,700 candidates in previous selections will be summoned. Employment opportunities in this segment of the labor market are very promising. Recently, the media reported a large amount of investments in to this sector through programs that will increase exploration, production and refining capacity. As a result a wide range of direct and indirect drilling jobs appeared on labor market. To work in the oil and gas, the professional must be curious and resourceful. More than half of all oil and 70% of all gas deposits of planet, are not discovered yet. The petroleum industry includes all types of professional activities: technical, financial, tax, legal, medical etc.. Among them, there will always be place for many professionals on the market. For many years will continue to be necessary to explore, produce, refine and transport oil and oil products. These activities ensure that, this industry is always ready to employment. With salaries that are 30% higher than the average on the labor market, the segment of oil and natural gas is one of the most promising in the Brazil. Mostly demanded professionals from engineering, geophysics and geology. equipment engineer (1,244); processing engineer (489); production engineer (396); oil geologist (369); oil drilling engineer (221); oil geophysicist (196); oil chemical (142); offshore vessel commander (103), a marine engineer (93) engineering and instrumentation (90). 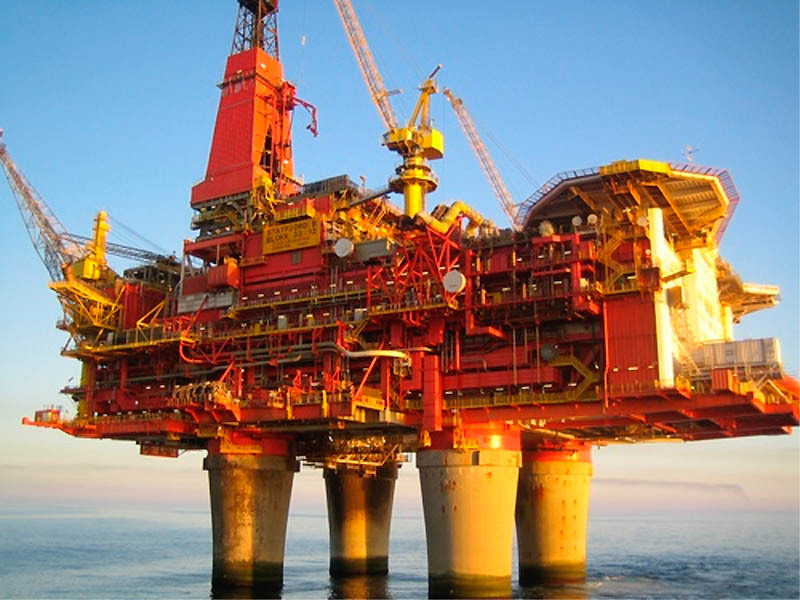 The most sought after technical level are: operator utilities (6,340); chemical technician oil (455); technical oil exploration (300); diver (298); auxiliary platform (245), operator transfer and storage (196); operator remotely operated vehicle (157) and technical supply (101). Event, which offers more than 1,000 vacancies happen in the coming days. Former students can found in the next few years, an opportunity in the labor market. Seven large offshore companies will select candidates for about 1,000 job openings included in the project Prominp connection, what happens in the next 22 to 23 in Macae. Among the opportunities, which concentrate the largest number of vacancies are positions for scaffolder, operator of cargo, maintenance electrician, cook, kitchen helper, general labor, steward, cleaning assistant, baker and auxiliary cargo pump installation assistants. For the position of welder, vacancies are already filled. To register, just visit the site of Prominp, download and fill in the registration form and send it by e-mail to the coordination of the program in the Campos Basin, through prominp-bc@petrobras.com.br address. Vacancies shall be filled with students who, preferably, have taken the course in Macae. Only if there is no such local availability, will be considered enrolment of the student who took a course in another destination of Rio. Prominp is in need of immediate hiring of skilled workers. Although participation in the event does not guarantee the job vacancy, the Prominp connection allow candidates to have their resumes evaluated and to get interviewed directly by the human resources of the company.